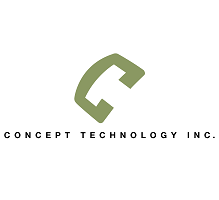 Concept Technology Inc. is an outsourced IT department providing IT services to small and mid-sized businesses in the greater Nashville area. Our primary focus is equipping our clients with seamless technology that allows them to continue their meaningful work. Because of our long tenure in the area, we are a leader in providing tech expertise and excellent service to meet our clients’ needs. We are able to guarantee secure and reliable networks because of our top-of-the-line talent and skill sets that allow us to solve complex issues and exceed our clients’ expectations.